Pink provides a balance. The passion and action of red mixed with the purity and insight of white. There’s power in pink. There’s pureness in pink. And of course, there is Pretty in Pink. 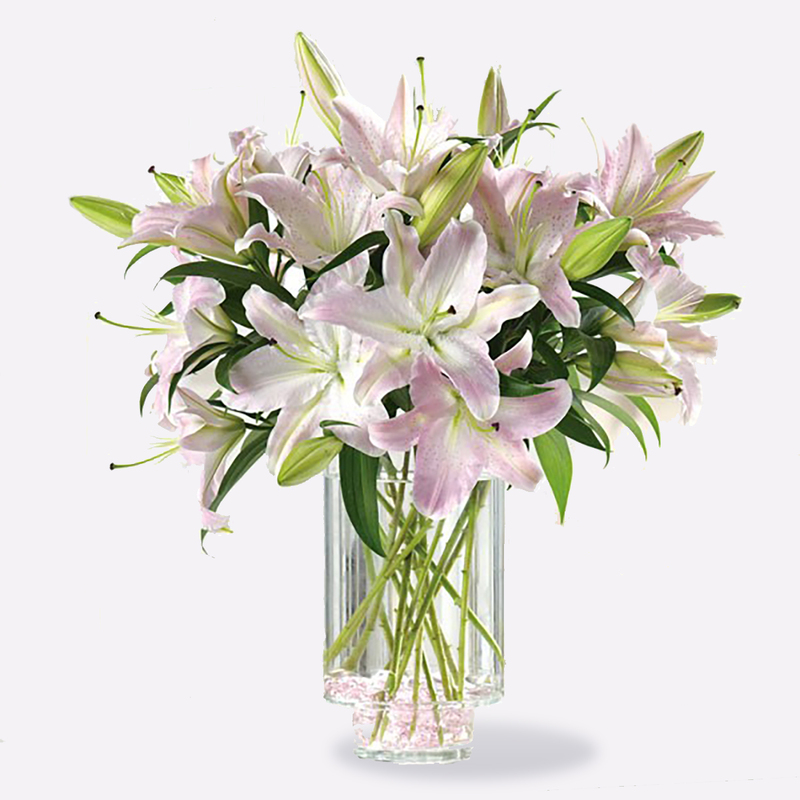 This soft display of pink carnations, alstroemeria, and purple roses, coupled with a touch of white stock, is a delicate arrangement that is capable of saying so much. 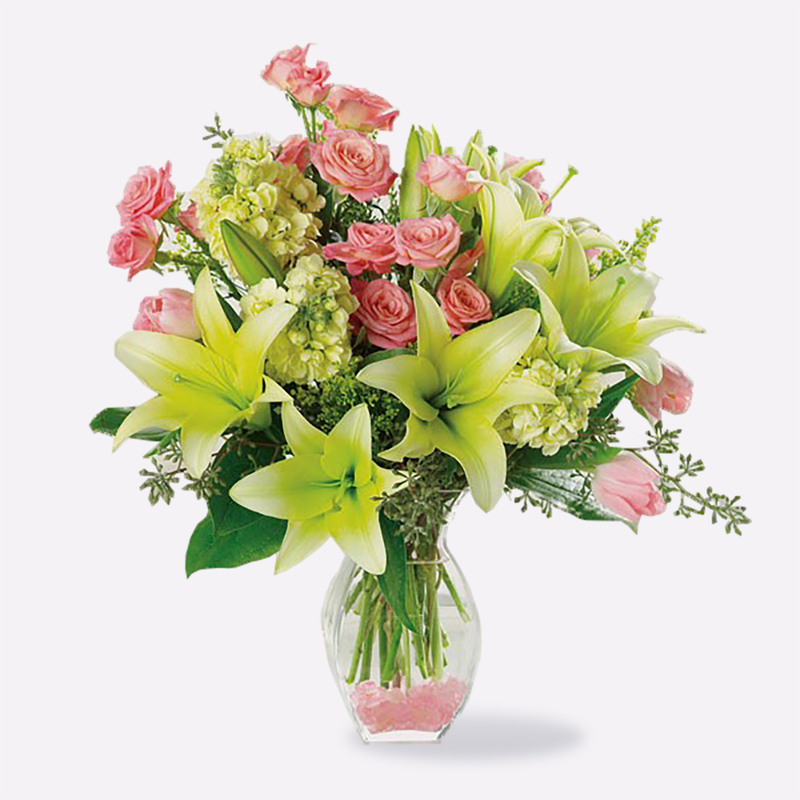 Consider Pretty in Pink as the perfect way to send flowers for an illness, thank you, baby congratulations, or just because. 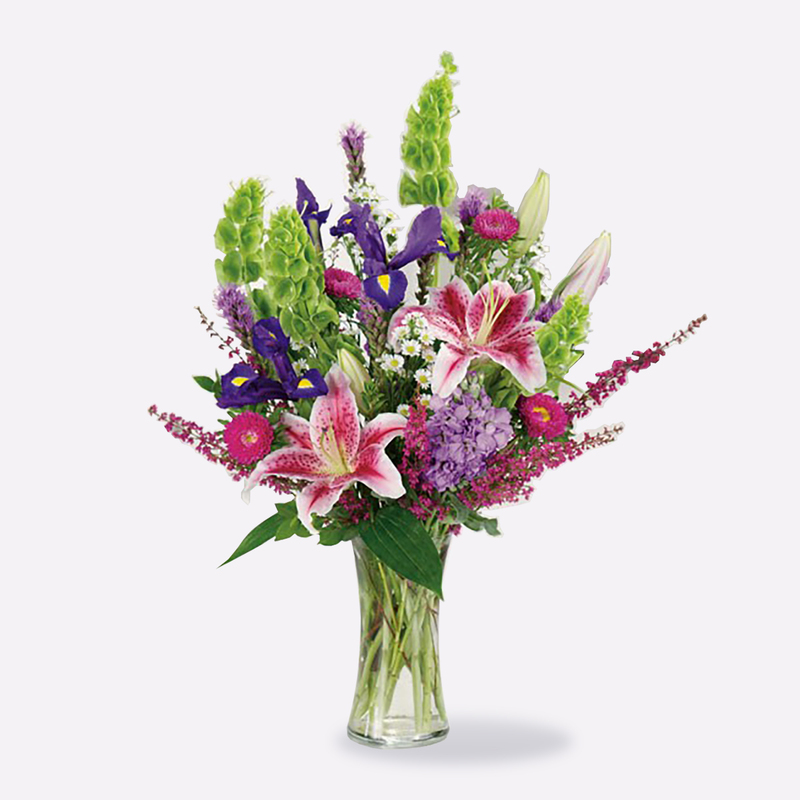 Prized for their long-lasting abilities, the jewel-like alstroemeria is often overlooked. Discerning eyes will be able to see what makes this flower, otherwise known as the Peruvian Lily, worth of praise and adoration. 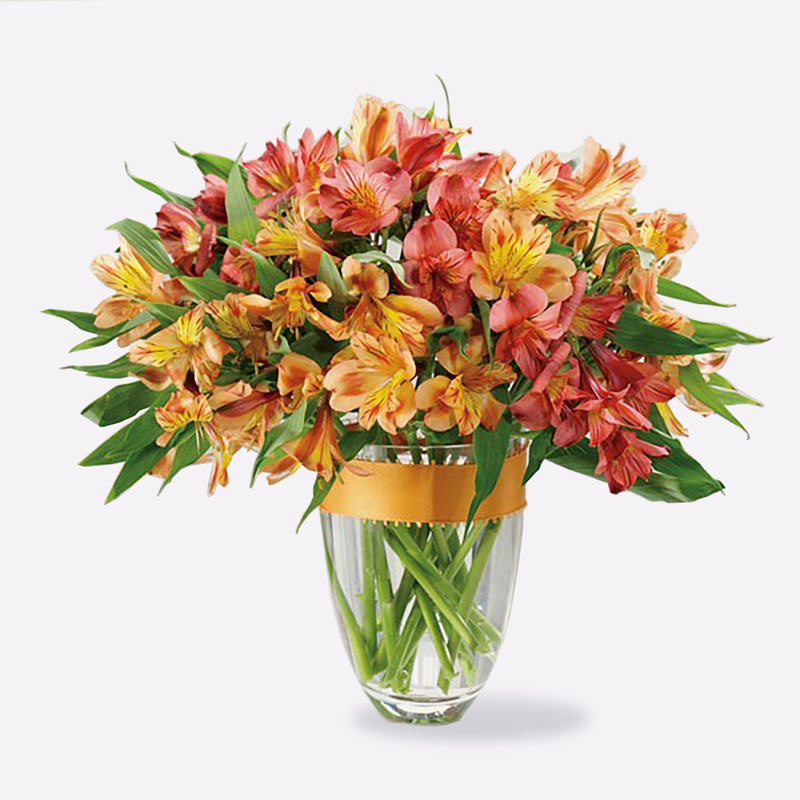 They’ll understand what makes Alstroemeria Ablaze such a potent bouquet. 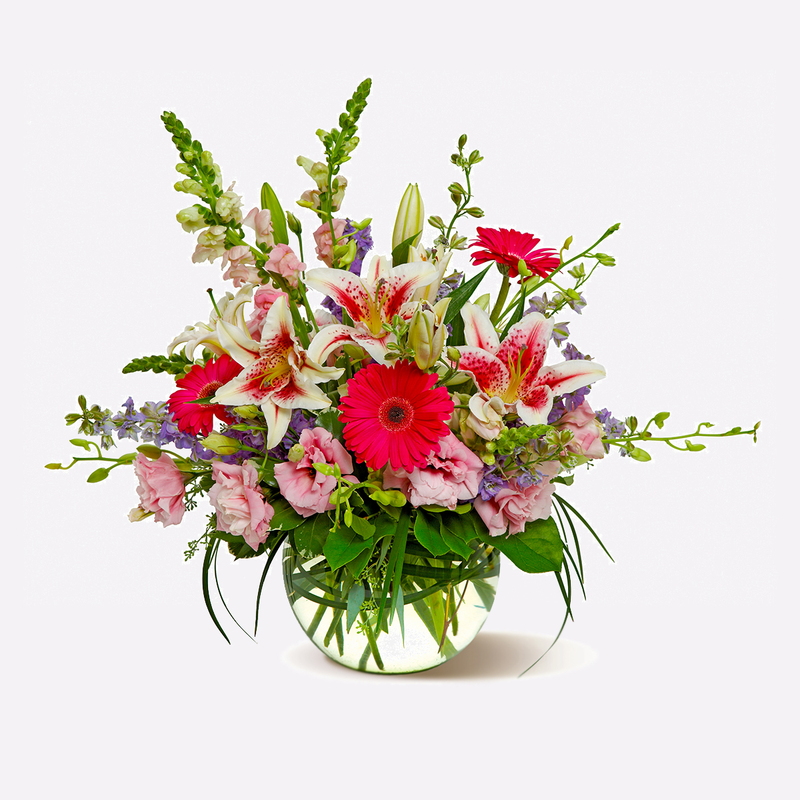 It is said that alstroemeria signify devotion, prosperity, and fortune. 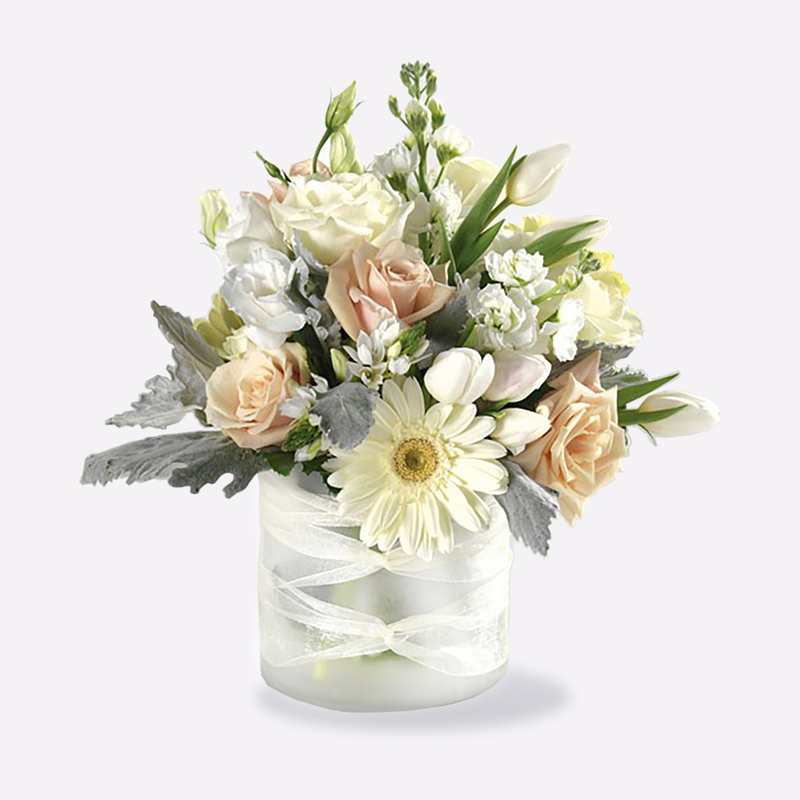 This awesome arrangement delivers all of those sentiments and more. Set someone’s heart ablaze by sending them this magical collection of colors. 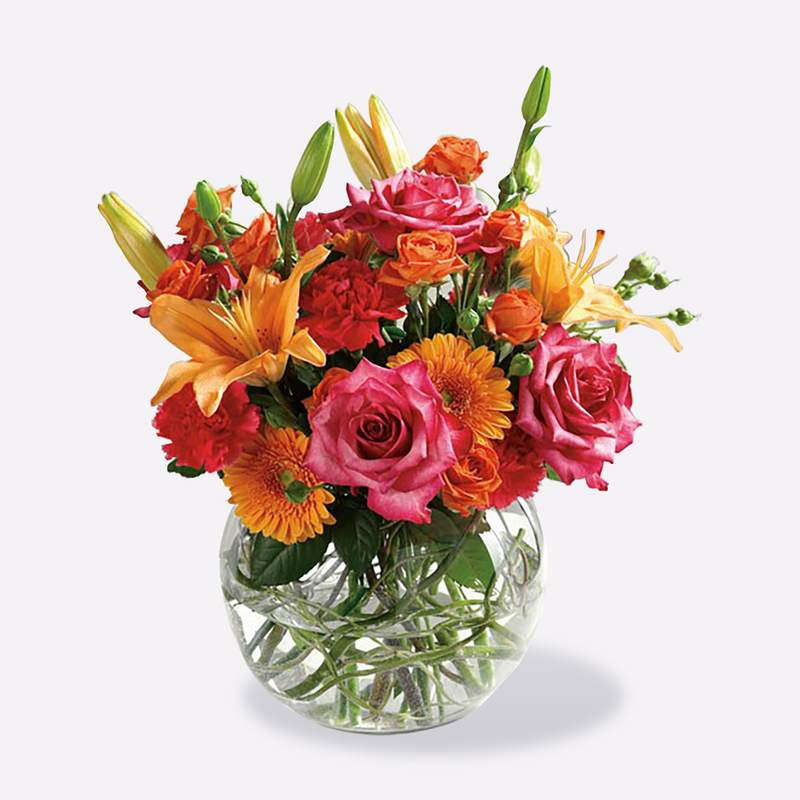 Please note that colors may vary from picture as alstroemeria can be pink, yellow, orange, white, purple, salmon, red, or bi-colored. 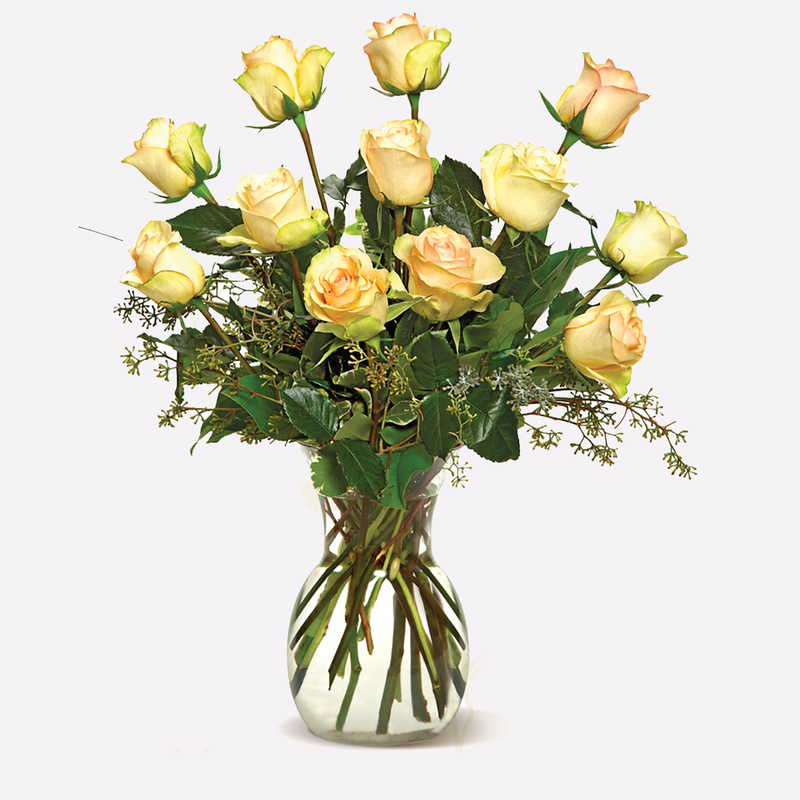 A clear glass vase of similar shape and size may be substituted as well. While they grow, a sunflower begins the day facing east and follows the sun to the west before turning back and starting anew the next day. In that way, the sunflower always knows the warm touch of the light above, a sensation someone in your life would surely appreciate. 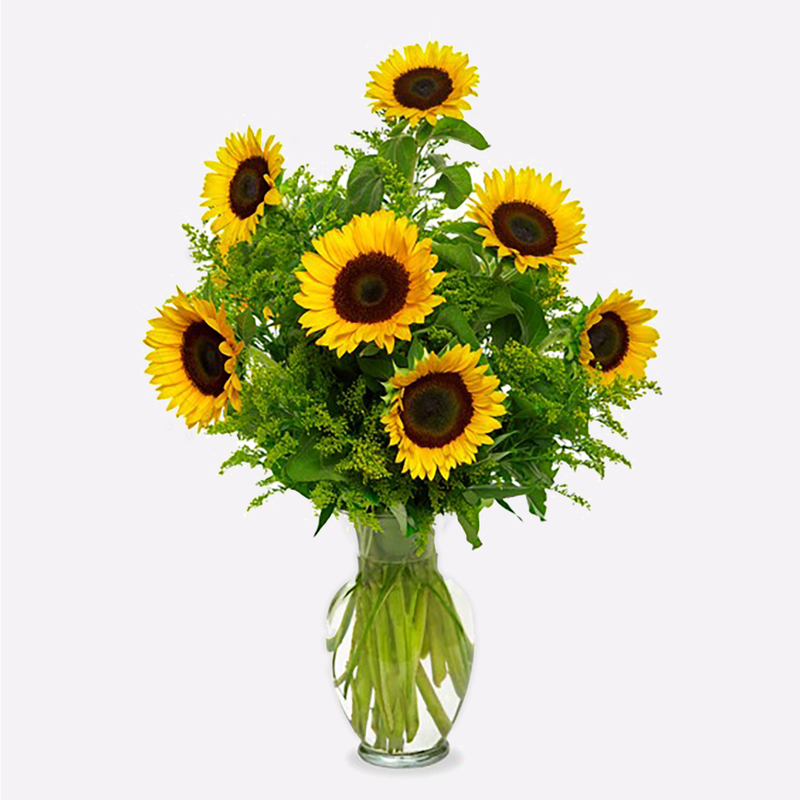 There’s no better way to give it to them than to send a Sunflower Symphony. 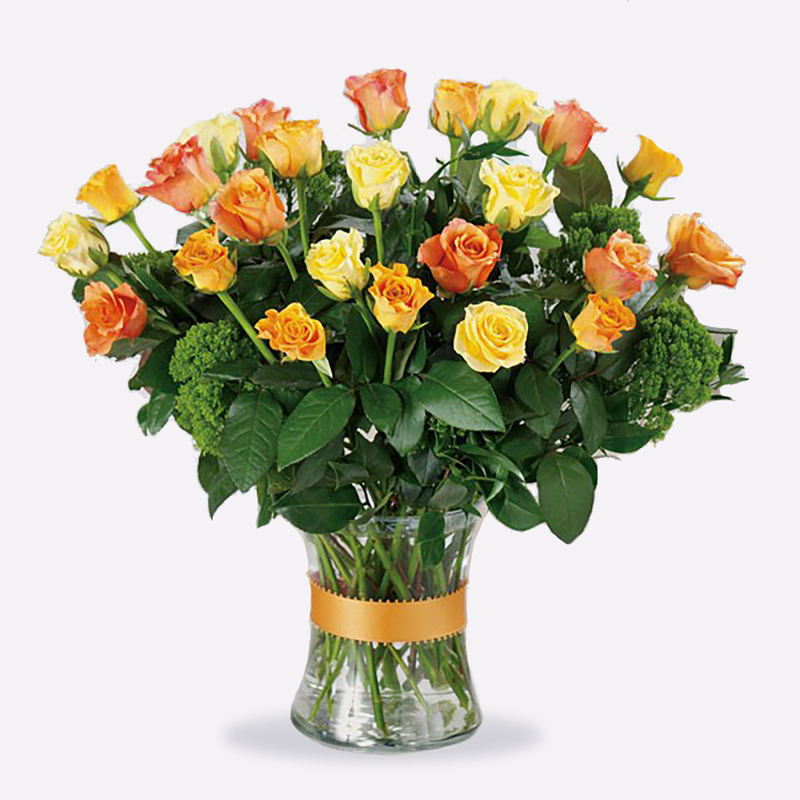 Let the light into any room with the golden glow of sunflowers, gathered up and presented in a big bouquet. By brightening up their day, perhaps they’ll do the same for you. Sunflower Symphony strikes the perfect chord when you want to say get well soon, I’m sorry, happy birthday, or congrats. Is it possible to look at a bunch of daisies and not be happy? We don’t think so and we think whoever receives this arrangement will agree. Even if they’re down, they’ll feel much better as soon as Upsy Daisies arrives. 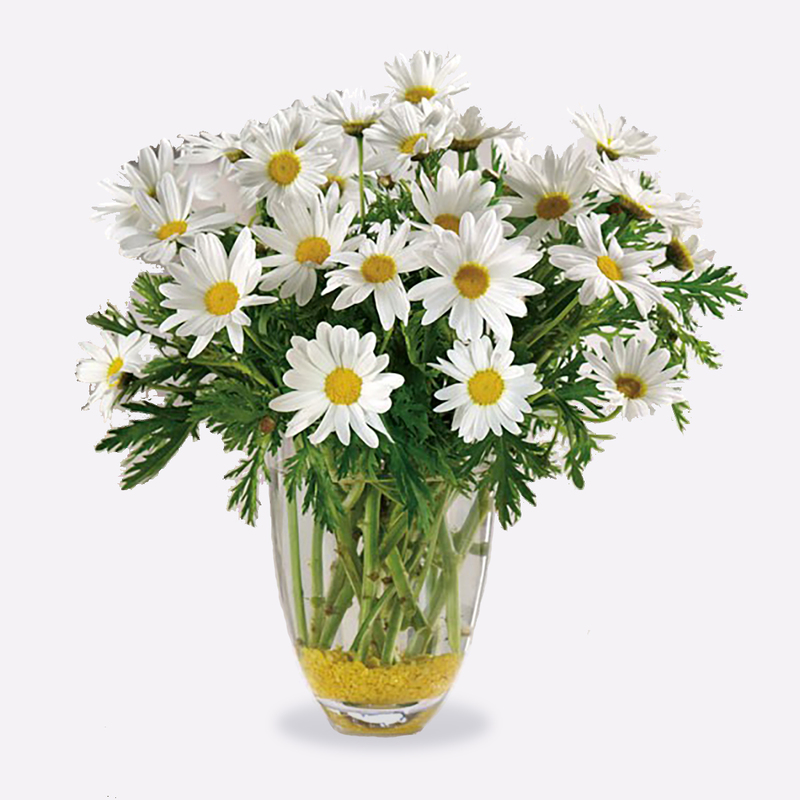 Consider surprising someone special with a sparkling glass vase overflowing with sun-kissed daisies. 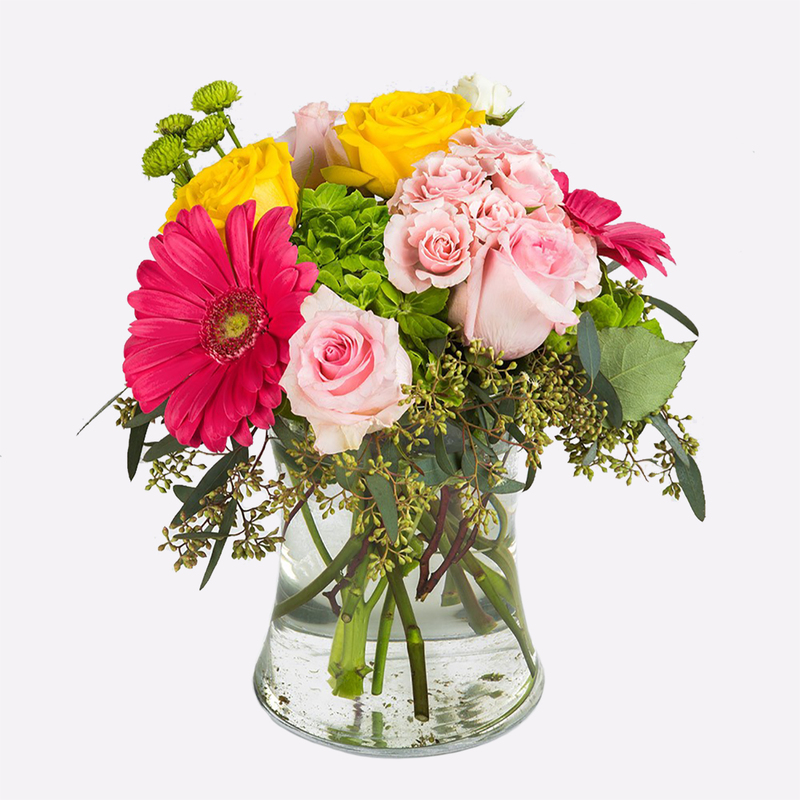 You’ll make their day and they’ll think you’re a daisy dandy for thinking of them. What makes daisies so great is how vertisible they are. Send Upsy Daisies to say I’m sorry, send sympathy, wish someone happy birthday, offer congrats, or just because. Magenta can be a tough color to describe. Is it purplish-red? Or reddish-purple? Or just plain old purplish? However you choose to, define it with Magenta Madness. 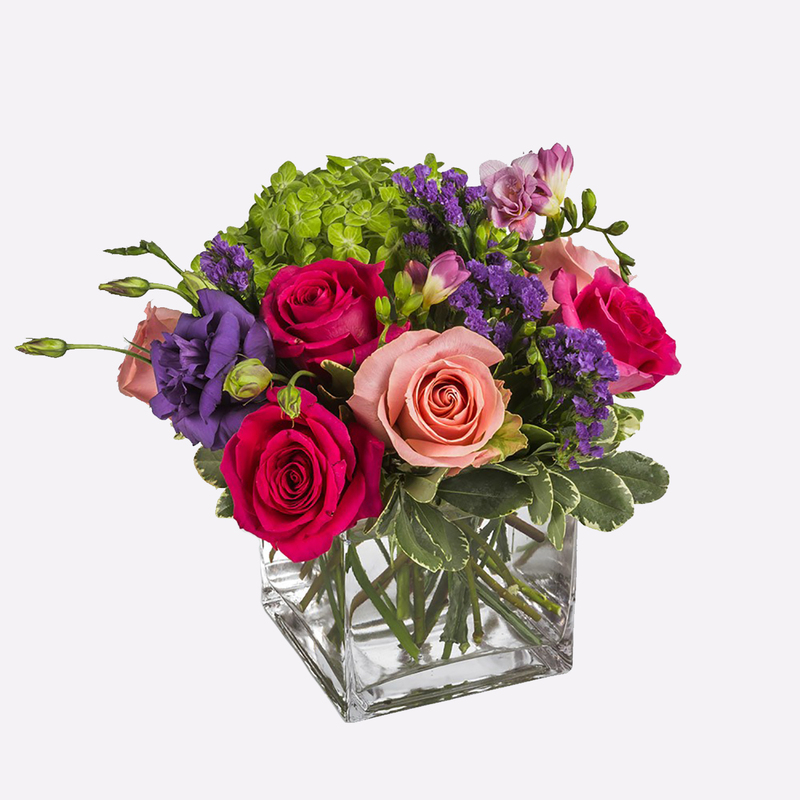 This arrangement includes pink roses, lisianthus, purple statice, all colors that add up to magenta, making for a bright and bubbly arrangement that will put a smile on anyone’s face. 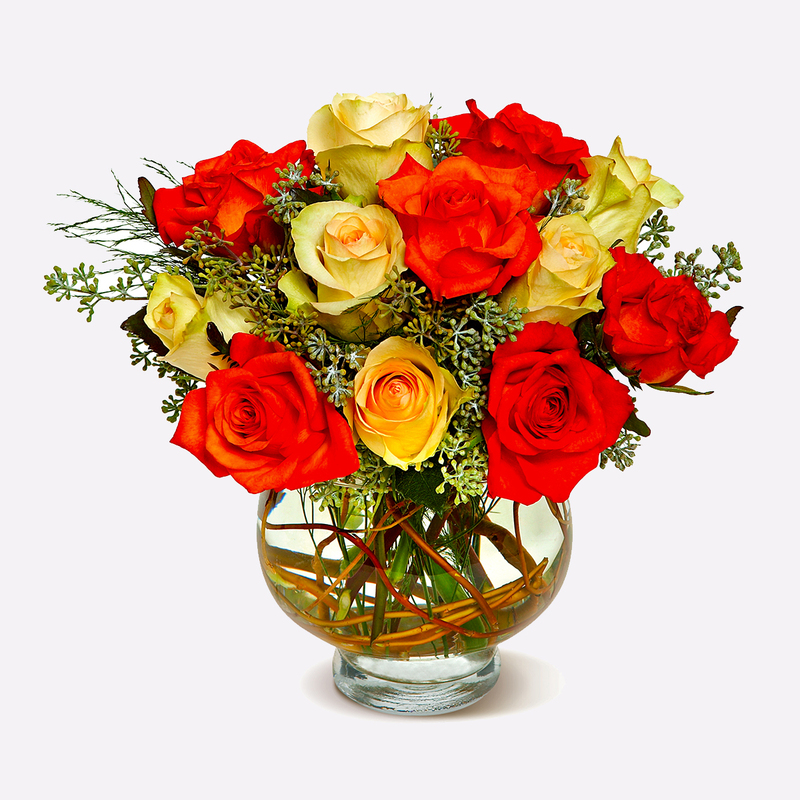 A great bouquet for someone who needs a pick-me-up or if you want to remind a special person how special they truly are. Red carnations and white daisies. 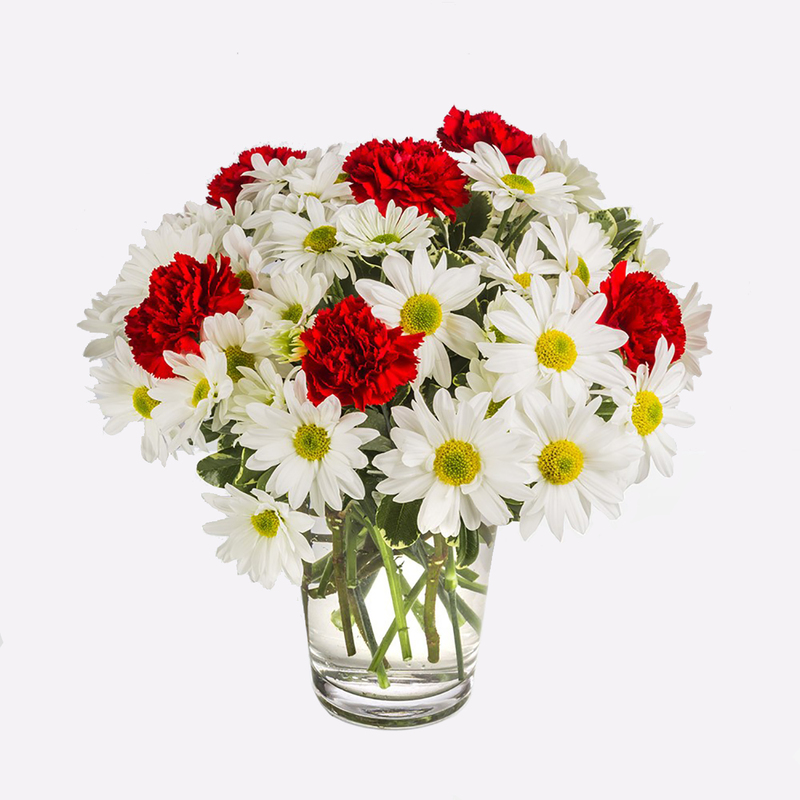 Two beautiful visions on their own, brought together to make a stunning Red & White Daisy Delight. 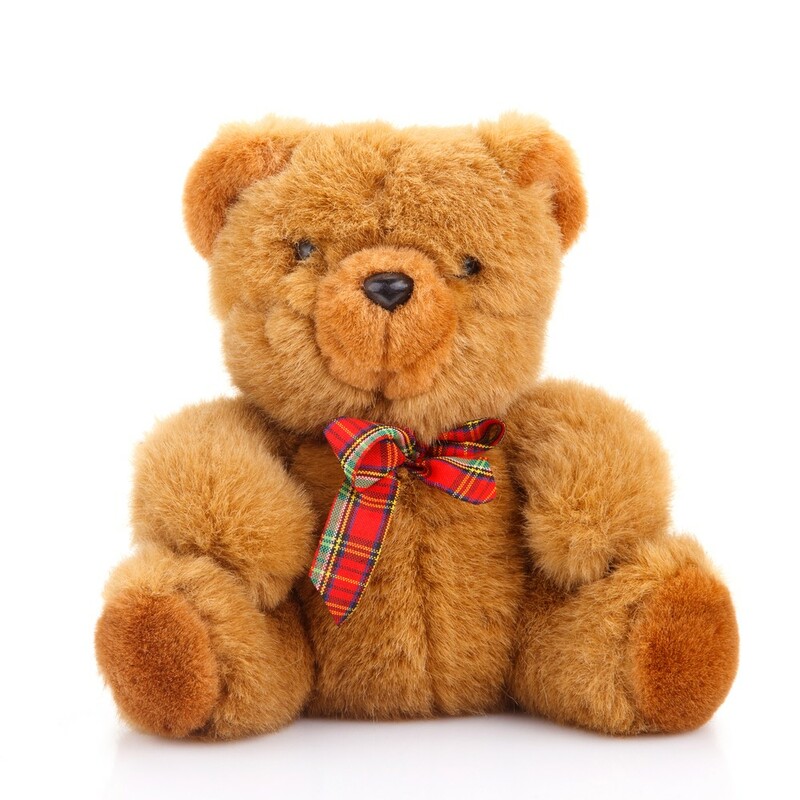 This modest gift that will make a lasting impression. 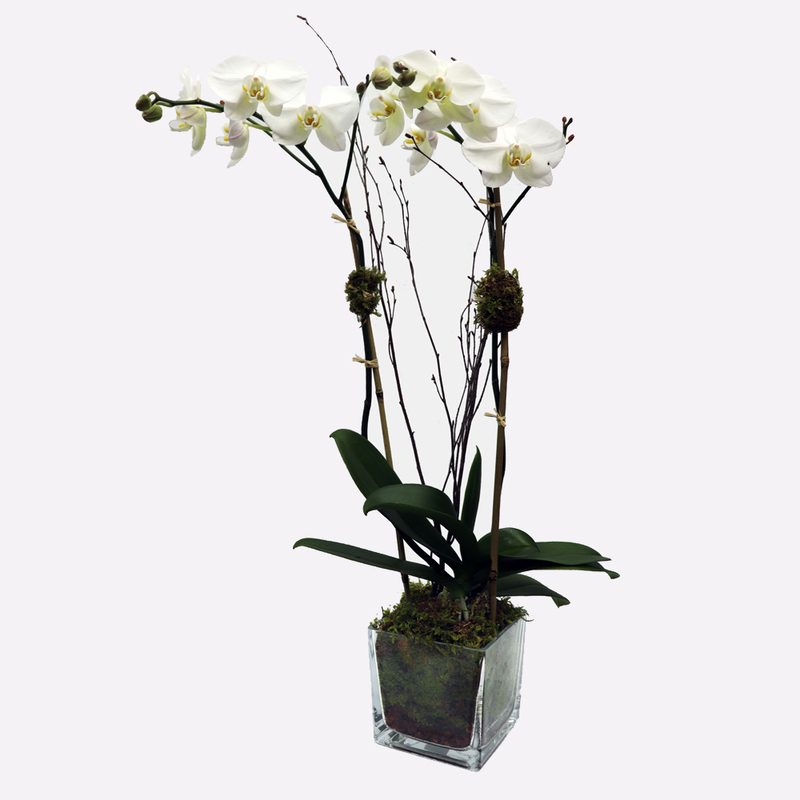 Simple in design but powerful in impact, it’s the perfect gift for a birthday or just to show you care. 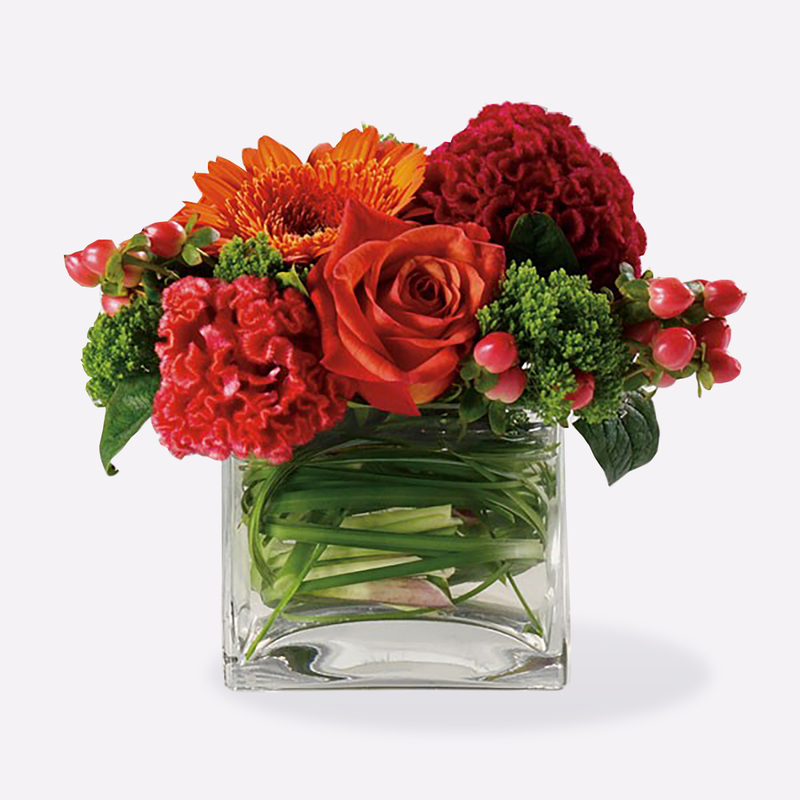 This bright, vibrant bouquet also makes for a refreshing table piece during the summer. A shared secret is a bond. An understanding between two people that they are united over something so special that it must be contained or it’s lost forever. Whispered Secret captures that idea visually, allowing you to share something tangible as well. 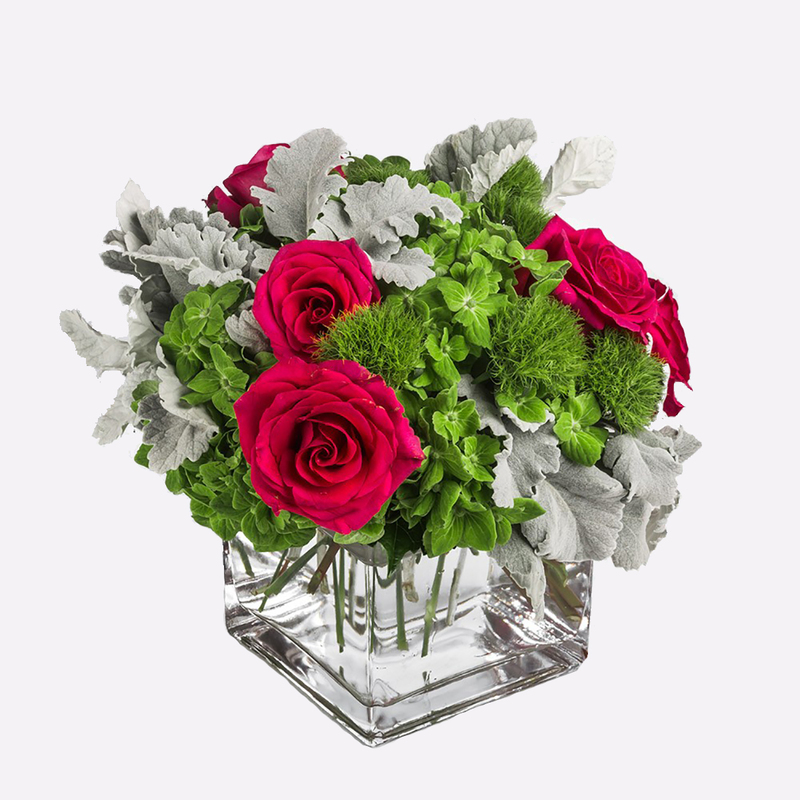 This arrangement includes hot pink roses, green dianthus, and dusty miller. 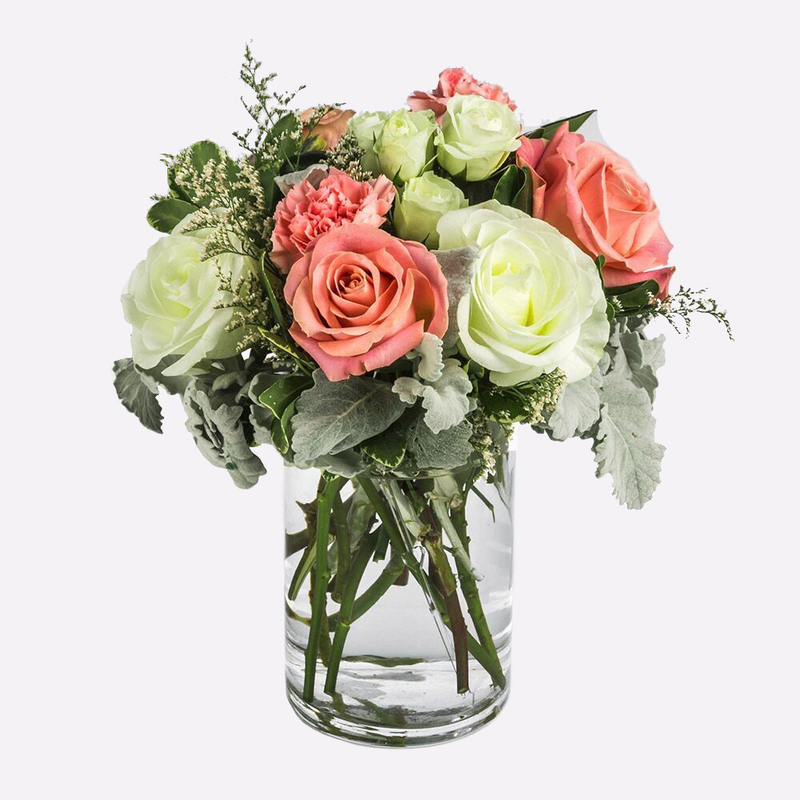 The blushing roses are juxtaposed against the dusty miller reaching out to contain them. Like a secret being shared. It’s the perfect gift to wish someone a happy birthday or to say thank you, whether it’s a secret or not. 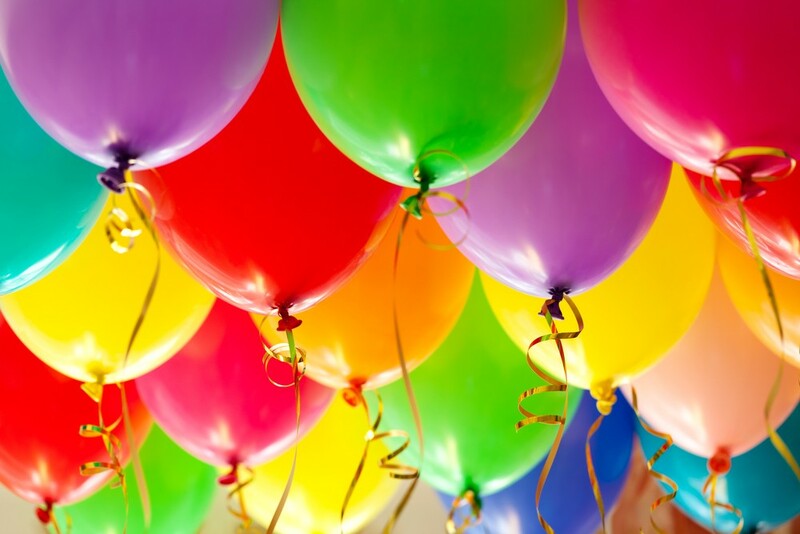 No one needs a reason to throw a party, right? 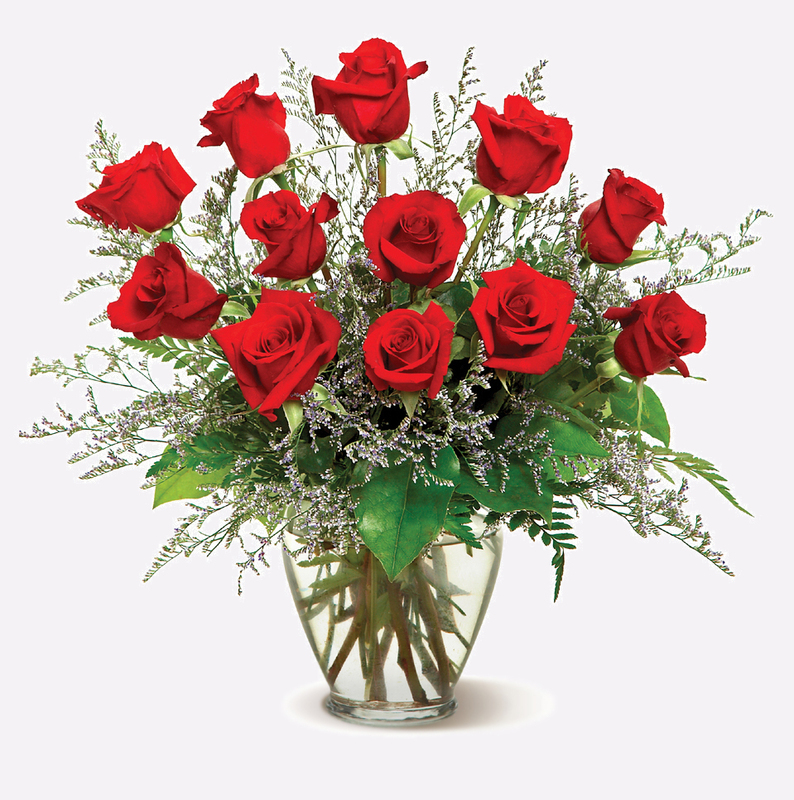 Even if someone special doesn’t feel like celebrating, send them this arrangement anyway to say Let’s Have A Party. 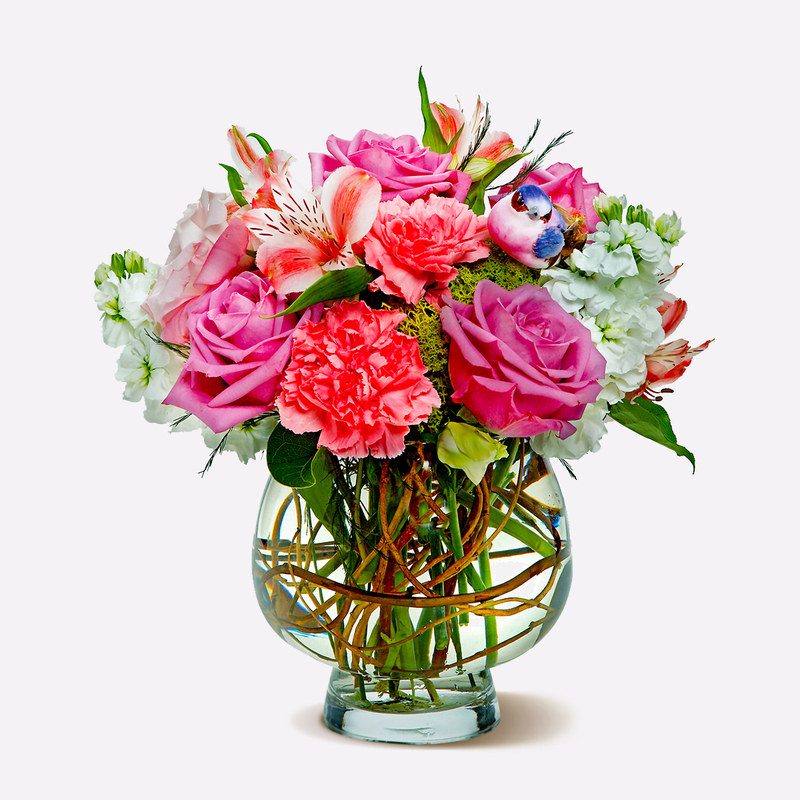 This arrangement contains pink gerbera daisies, roses, and hydrangea, all of which is sure to help get this party started. No matter what they’re celebrating, this is a perfect gift to wish someone praise or honor their new beginnings. 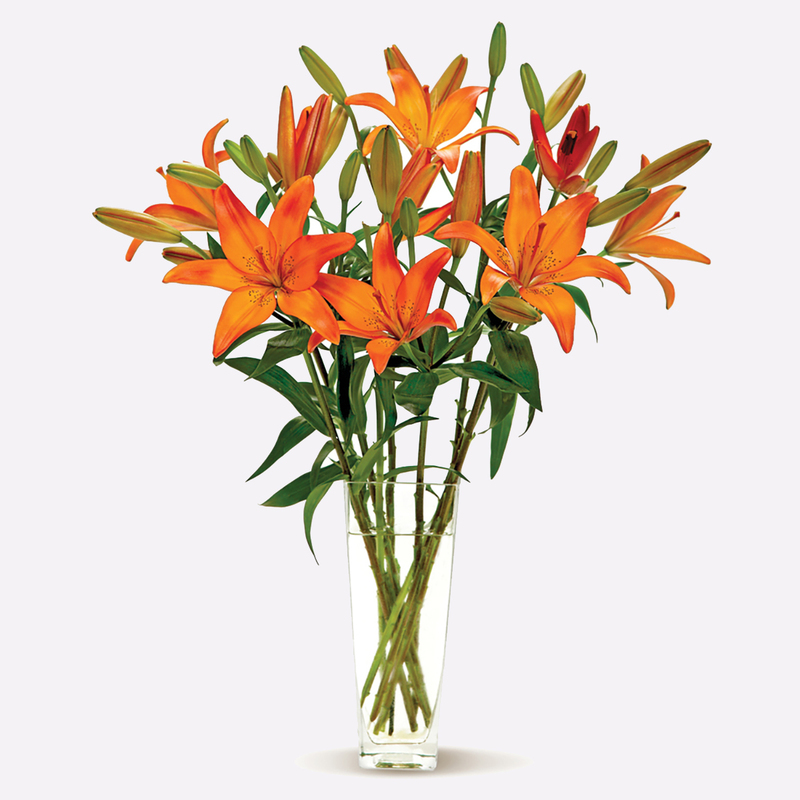 Long-stemmed orange lilies, simply arranged in a clear glass vase, create a vivid presentation that will add a spot of color to any room. 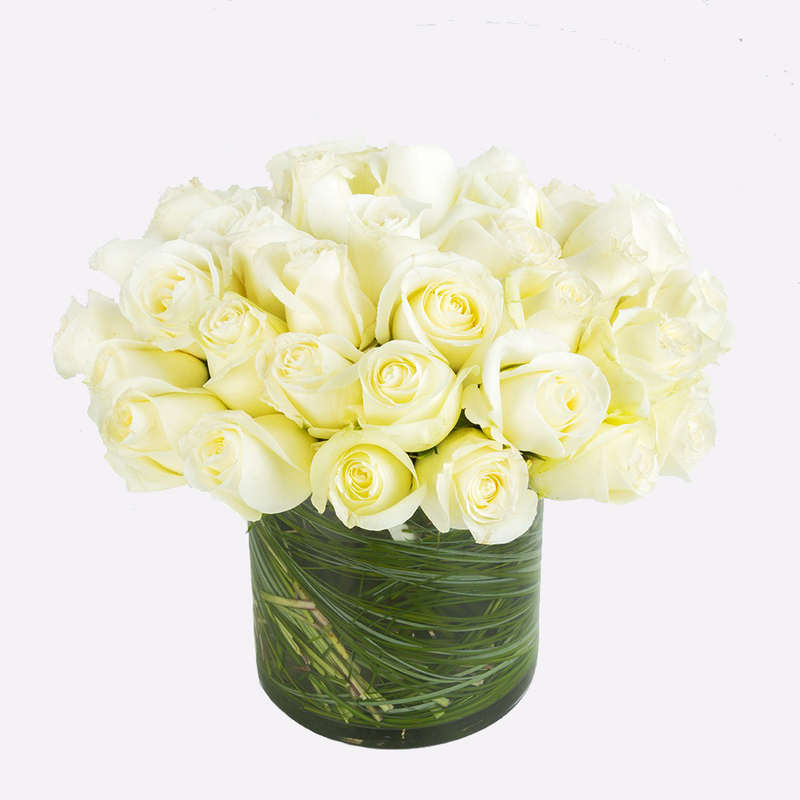 A lovely choice as a get well gift, a thank you offering, or for a business associate. 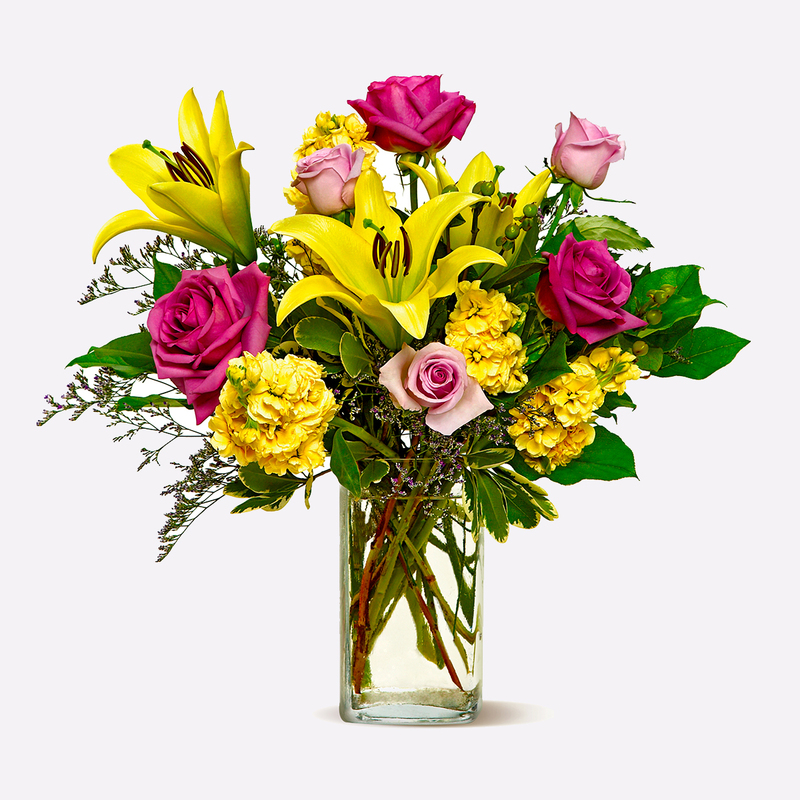 The sunny hues of daytime mingle with the dusky tones of night in this medley of yellow and purple blossoms that will be welcomed at any time, and for any occasion. A unique pairing of colors, and a stunning presentation.